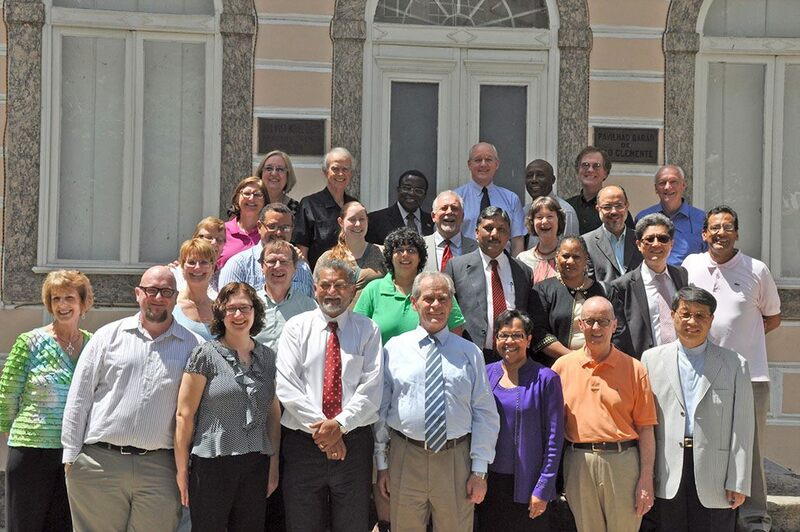 The Steering Committee of the World Methodist Council met from March 12th – 15th in Rio de Janeiro, Brazil. The purpose of this meeting was to measure the progress of the Council’s work so far in the 2011-2016 quinquennium and to plan for the September meeting of the full Council in London. The Committee agreed to arrange visits to potential member churches within the Methodist and Wesleyan faiths throughout the world for inclusion in the World Methodist Council. The addition of these churches to our worldwide family helps to bring all voices within our faith tradition to the table. The agenda for the Council’s 2013 London meeting was discussed, and details and plans were approved to move forward. This meeting promises to be one of inclusiveness and new ideas. In preparation for our 2016 World Methodist Conference, Sarah Wilkie of The Upper Room Ministries was selected to be the Program Chair for the event. Sarah brings her experiences with the Upper Room and with UMR Communications to this new role. Sarah’s expertise and organizational ability were praised in the selection. The Committee also heard from each of the Council’s Standing Committee chairs, detailing their plans for the full Council meeting in September, as well as the work that they have been doing since the last Conference in Durban, South Africa. News from around the world was shared including details about the struggles of the Nigerian church in the face of violence from the group known as Boku Haram, the news of the first woman President of the Methodist Church of Ireland and the continued growth of the Brazilian Methodist Church, which has grown from 19,000 to 122,000 members in the last 25 years. The Committee also heard news from affiliated organizations, such as the World Fellowship of Methodist and Uniting Church Men’s collaboration with Stop Hunger Now and their efforts to organize a food packaging event in London. The World Federation of Methodist and Uniting Church Women were praised for their ministry and service to women and churches globally. As the Steering Committee departed Rio, communion was shared, prayers said and commitments were made to make this Council the best that it can possibly be. Many miles separated the members, but one faith united them in common purpose.